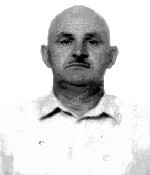 Torshkhoev Magomed Khadzhibekarovich, 1940. kidnapped in July, 7, 2007. In June, 7, 2007,in Vladikavkaz,two natives of Chermen settlement,Prigorodny district,were missing.They are ingush:Torshkhoev Magomed Khadzhibikarovich,born in 1940; and Gaisanov Mukhazhir Sayupovich,born in 1946. In the morning,the aged men left Chermen settlement for Dzheirakhovsky district of Ingushetiya,to visit Mukhazhir Gaisanov’s diseased sister. The way to Dzheirakh leads through Vladikavkaz. An auto VAZ-2106,in which Torshkhoev and Gaisanov went,was found in the afternoon in Pavlenko street, Vladikavkaz,300 metres from Northern Osetiya ministry of internal affairs building. Torshkhoev’s and Gaisanov’s documents were in the car.Because of the auto had ingush licence number plates(06 region),osetin militiamen checked it to know if it was mined. Only after that,the militiamen got into touch with Torshkhoev’s and Gaisanov’s relatives to inform them.